Hey my name is Umut Serin. 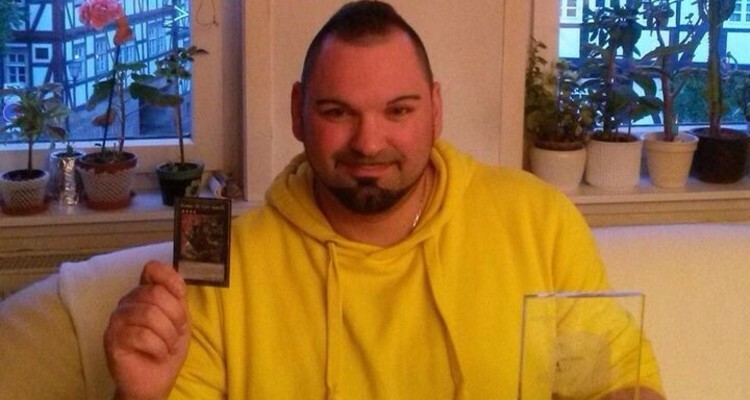 I´m 35 years old and I’m from Bad Wildungen, a small city near Kassel, Germany. I’ve had a lot of jobs after school, I worked as a shopkeeper, a bouncer, an animator, and a nurse. I then went back to school and got my university-entrance diploma to become a student for a short while. At the moment, I am working as a waiter and occasional bartender (not in the Cheesecake Factory) but I’m working towards a dual degree this year as Volkswagen. The good thing is I have a lot time for my hobby Yu-Gi-Oh!, but one of the most important things is having someone who accepts your time-consuming hobby. I’ve been playing Yu-Gi-Oh! since 2003 and what I love most is the competition, deck building , meeting friends, traveling and also card trading. My first contact with the game was when I worked as a caregiver at a youth centre, the children played with some interesting cards, than there was the Yu-Gi-Oh! TV show and the Playstation game Forbidden Memories and it didn’t take long before the virus of Yu-Gi-Oh! also infected me. So the old man also bought some cards and started to play and if he is not dead, he will still play on and on. Over the years I got a good reputation as a player in Germany, this started when I won my first premiere event which lead to me becoming more popular around Europe as well. Favourite Card: For years it was Thousand-Eyes Restrict, but now it is Spirit Reaper, because it is super strong in an offensive way as well as in defensive ways.